If you are working with the Twilio Python Helper Library, and you need to be able to modify the HTTP requests that the library makes to the Twilio servers, you’re in the right place. The most common reason for altering the HTTP request is to connect and authenticate with an enterprise’s proxy server. We’ll provide sample code that you can drop right into your app to handle this use case. On Python, the Twilio helper library uses the requests library under the hood to make the HTTP requests. 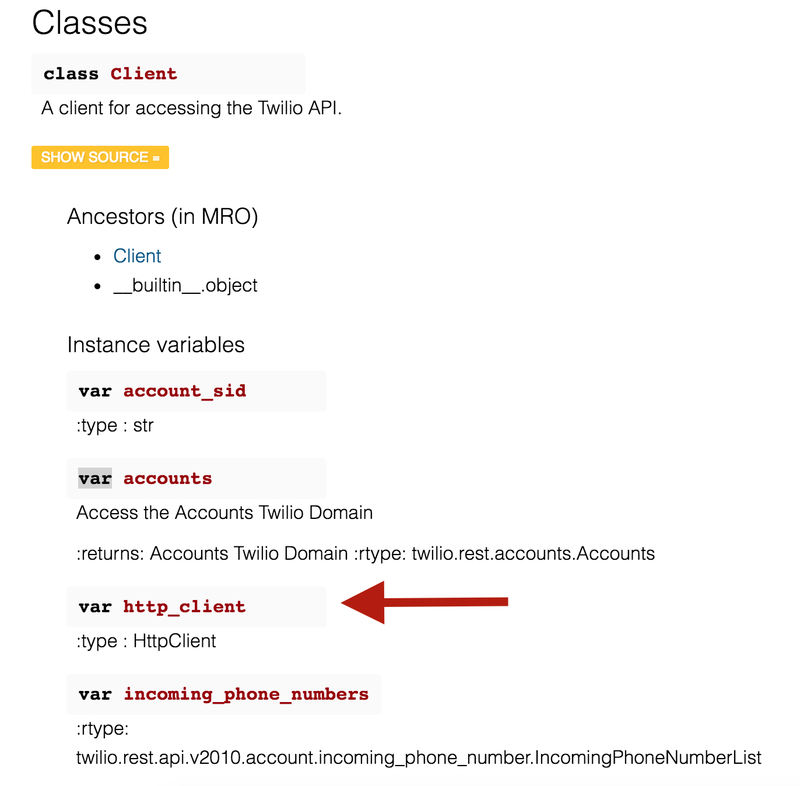 The Twilio Helper Library allows you to provide your own httpClient for making API requests. Where does an http_client get created and used? Out of the box, the helper library creates a default HttpClient for you, using the Twilio credentials you pass to the init method. However, there’s nothing stopping you from creating your own and using that. When you take a closer look at the constructor for HttpClient, you see that the http_client parameter is actually of type twilio.http.HttpClient. However, within the helper library, there is an implementation of twilio.http.HttpClient called TwilioHttpClient. This class wraps the twilio.http.HttpClient and provides it to the Twilio helper library to make the necessary HTTP requests. Now that we understand how all the components fit together, we can create our own HttpClient that can connect through a proxy server. To make this reusable, here’s a class that you can use to create this HttpClient whenever you need one. You could also implement your own http_client to mock the Twilio API responses so your unit and integration tests can run quickly without needing to make a connection to Twilio. In fact, there’s already an example online showing how to do exactly that with C#.